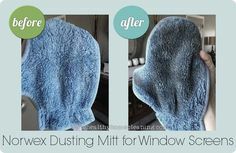 Dangers of Window Cleaner • Norwex Cleans BETTER! Today we’re going to explore the dangers of Window Cleaner. This is one chemical cleaner that has always irritated my body. Not only is it a hassle to play “beat the clock” as you attempt to clean every corner of the window before the spray drips to the bottom, but the smell is so strong, I was always putting off my window cleaning until I absolutely had no choice. It was inevitable that using Window Cleaner, would leave me with a headache from the awful fumes. Do my windows really need that strong of a product, anyway? Daily exposure to ammonia will cause high blood pressure, pulmonary edema, and bronchitis. Exposure to ammonia fumes will damage eyes, liver, kidneys, and lungs. Even brief exposure to ammonia fumes can be an asthma trigger and irritate or amplify allergies. … all of which receive a “D” or “F” rating by the Environmental Working Group. They are known to cause asthma and respiratory issues as well as skin allergies, and the fact that all you are doing when window cleaning is wiping them all over your windows means they will linger in your home for a long time. Even when the smell goes away, you are getting traces in your skin whenever you touch the window. If you have children and/or pets, I am sure you know just how often fingers and tongues touch the window! These chemicals are not something I want on or in my kids or pets. So, if you had a choice between using chemicals or NOT using chemicals to clean your windows (and the “not using chemicals” choice gave you cleaner, less streaky windows), wouldn’t you choose NO CHEMICALS? Enter the Norwex Window Cloth! With the Norwex window cloth, it is so much easier to get a streak-free shine on my windows without any chemicals. It works so well, I have used it on my windows, television, computer monitor, mirrors, jewelry, and microwave front. First I wipe them down with a wet Enviro Cloth, then use a dry window cloth to soak up the water residue and leave a shiny finish. It takes almost no scrubbing to get my windows clean, and I don’t have to wait and see if any streaks will be left behind because I am not applying anything to the surface other than water. If you haven’t tried the Norwex window cloth, this is definitely one product you will want in your home. 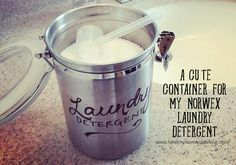 It’s the reason I began using and selling Norwex in the first place (you can read my original review HERE), and has cut down the chemical residue in my home by a longshot. Have you tried the Norwex window cloth? What did you think? Use This, Not That! Chemical Shower Cleaner vs Norwex Descaler Norwex Window Cloth – Review Use This, NOT That! Norwex Oven Cleaner vs. Chemical Oven Cleaner Use This, NOT That! Norwex Mop System vs. Chemical Disposable Mop Systems 4 Ways To Get Rid Of Bad Odors Naturally!